Some rains can leave you sneezing for days. Hay fever is common in monsoon. Sneezing and inflammation can be common in hay fever. Precaution is better than cure, avoid getting drenched. When rain pitter patter on your window’s glass, you cannot help yourself but get out and dance in it. Monsoon comes and brings the urge to indulge in a warm cup of tea and pakoras. However, you cannot dance in every rain; as every rain may not turn out to be a merry one. 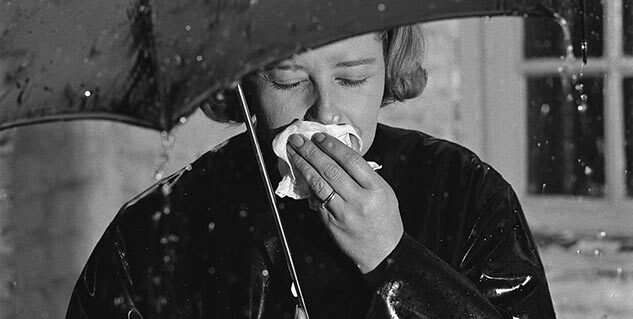 Yes, getting drenched in rains may leave you sneezing for days. The prime cause that makes you sneeze is Hay fever. 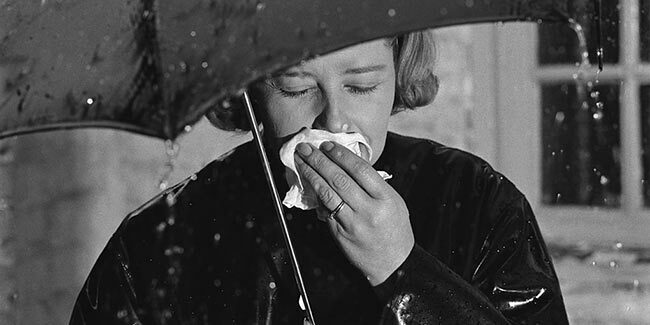 Every year over thousands of people fall prey to hay fever because of wrong rain. Hay fever is allergic rhinitis, which is a very common condition and has sneezing as its prime symptom, followed by a congested or runny nose and sometimes inflammation of sinus. Allergy to airborne substance like pollen or a cold that is caused by a virus is hay fever or allergic rhinitis. What are the common hay fever symptoms? A person at mild stage of hay fever may sneeze. He or she will suffer occasional watery eyes. They may also suffer a dry itchy throat. An itchy and sometimes a runny nose or a nose with blockage and congestion could be there. In some cases, hay fever can aggravate and the symptoms may also aggravate. The sufferer may have sweats. The person suffering from hay fever may also get headaches. The sufferer might just lose the sense of taste and smell. Facial pain could be there in people with blocked sinuses. The itchiness could reach the sufferer’s nose and ears from your throat. The sufferer of hay fever might feel tired or fatigued. Hay fever sometimes causes the sufferer to experience irritability. Insomnia could be one symptom in some rare cases where the sufferer finds it difficult to fall asleep. If someone is suffering from asthma, they might experience episodes of wheezing and breathlessness without any physical exertion. The hay fever in its worst phase can cause physical exertion. What are the cures to hay fever woes? The sufferer may try corticosteroid nasal sprays; it could help them ease the itchiness of nose. You can try allergic shots. Since, hay fever is nothing but allergic rhinitis, and it occurs mainly due to a weak immunity system and allergic shots can boost the immune system but only when symptoms are hard to control. You can have honey; it is the oldest remedy to cure hay fever. Homeopathy is the most sought after when it comes to hay fever. Read more articles in Allergy. Does eating ice cream help you lose weight?